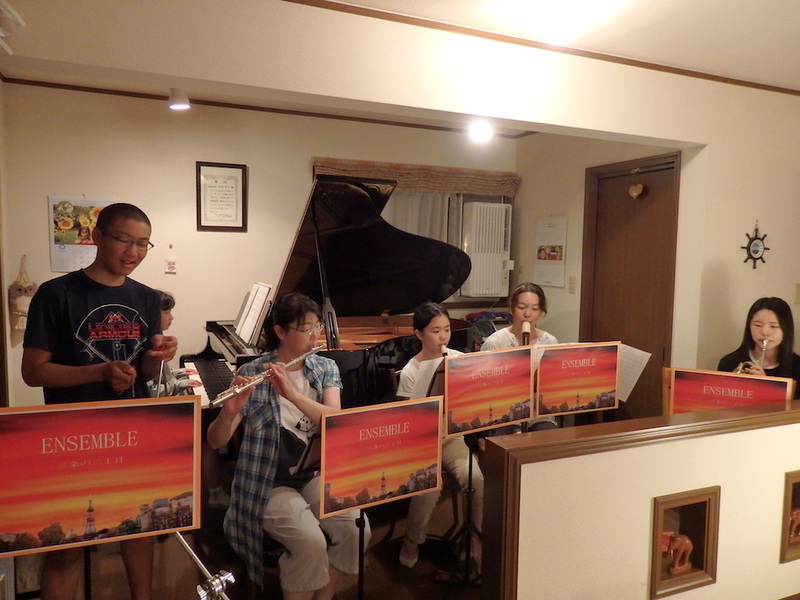 Music composer, Saiko Nakamura has private music schools in Sapporo and Tokyo Japan. 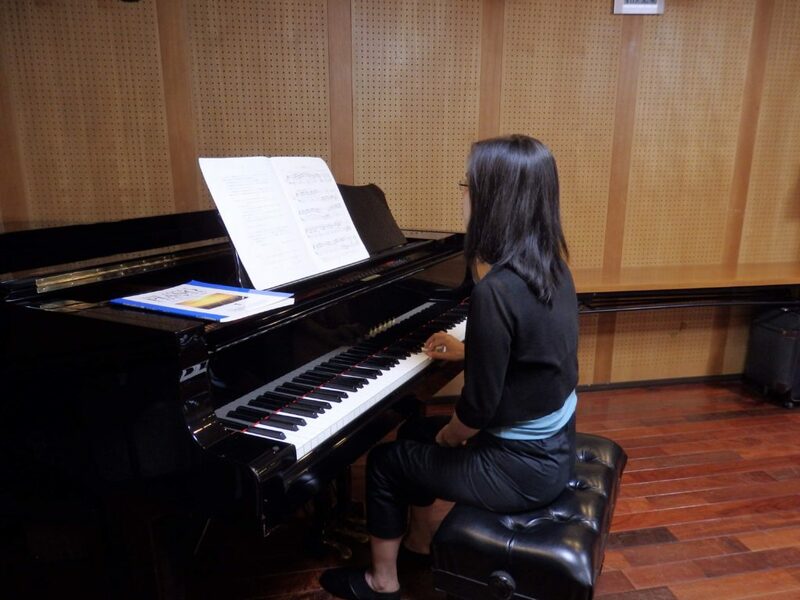 She is teaching basically piano but it is not for only classical works, including skills for popular, music composing, improvisation, solfeggio and so on. 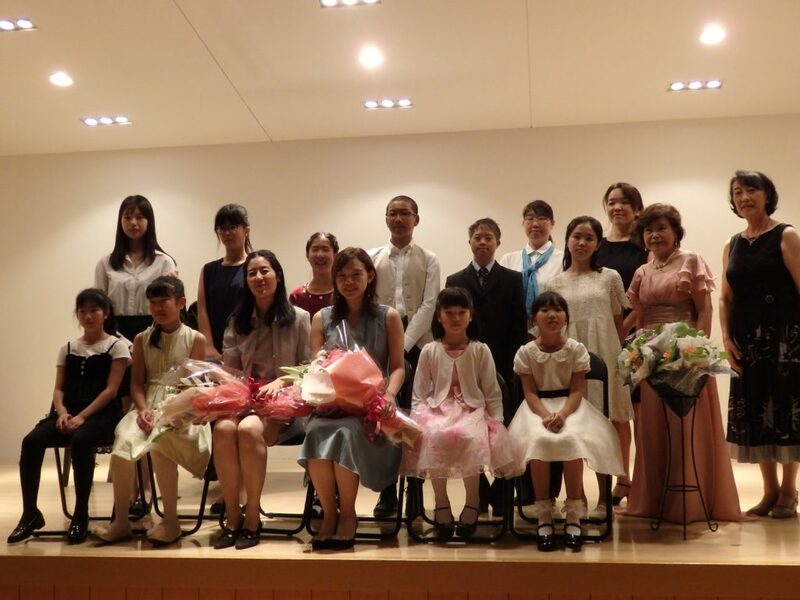 The students’ age and skills are wide range, and lesson’s style is flexible depends on the students’ purpose. 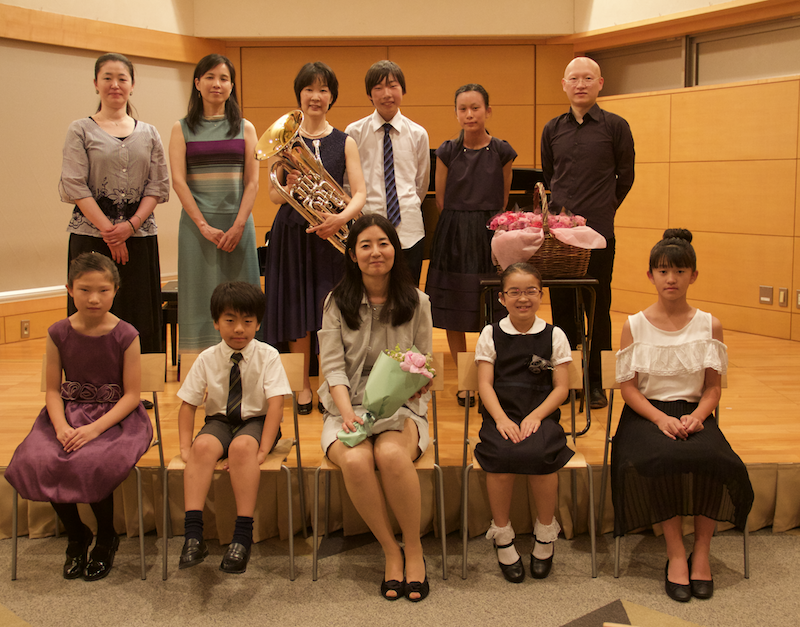 The schools have lovely concerts once a year and half. 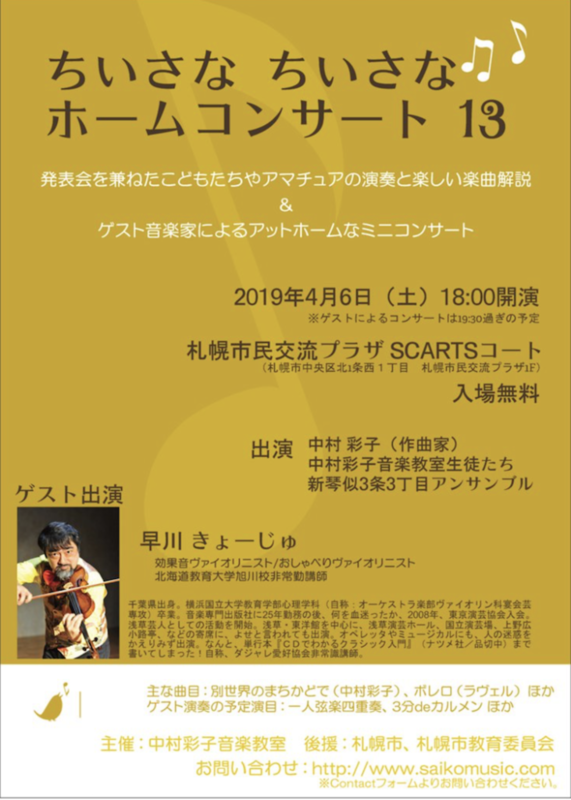 Saiko is a instructor member of the Piano Teacher’s National Association of Japan Incorporated by Japanese Government. For getting more detail information, Contact us. And please let us know which school you would like, Sapporo or Shinagawa. Now Shinagawa is available only once in a month (Tuesday).